Having a three year old in our home means one thing...TONS of teachable moments. What is a teachable moment? This is when said three year old does something that is negative and we are able to teach her the positive way to do it. She is at a very influential age for alot of things...manners and politeness being two of them. Hannah is also a big sister to a roly-poly brother. He gets pushed around alot and bossed quite a bit...not to a point of getting hurt, just enough to annoy the tar out of him. He gets quite frustrated and we get MANY teachable moments out of him and his sister's interactions!! As a mom, I am always looking for fun ways to teach Hannah how to be a kind and understanding big sister. While she is still very young, it is imperative for her to be able to learn on her level how to be a good girl. I was recently contacted by Kimberlee Schultz...an author who focuses on children's books geared towards teaching children how to exercise character building skills. You can imagine my excitement about this! This was JUST what my daughter needed!!! StarPals is the name of Kimberlee's line of books that she has authored and just by looking at them, you can see that they will be easily read and understood by even the smallest of children. Kimberlee has a wonderful style of writing and really conveys the messages clearly and concisely...perfect for my daughter! The Seven StarPals are the embodiment of the seven virtues they represent. Through their daily activities, they inspire both parents and children to embrace the virtue game and apply patience, kindness, humility, honesty, sharing, thankfulness and love at every possible moment. The children's accomplishments are then acknowledged and tracked on The StarPals Erasable Treasure Chart to promote self empowerment, creativity and fun in their everyday lives! The idea that children need to be loving, kind and honest is sooo important. Especially in their interactions with siblings and friends. Like I said before, my daughter is my oldest child and is learning everything for the very first time. She has never had a brother before so she has no idea what it means to be sharing and patient. So, that is what I really love about these books. I will say that the first thing that I love about these books is that the girl characters all wear dresses! If you read my recent post about my daughter's dressing style, you will see why I love this! I think that this is a wonderful feature of these books. My daughter gets very excited when books come in the mail and they are for her! She was THRILLED to be able to sit down and read these StarPals books. And she read each and every one...page by page. I think that Patty Patience is my favorite book as it really teaches Hannah how to be a better sister. She really struggles with being patient...especially when I am on the phone or talking to someone else. Patty even has a baby brother and that is something that my Hannah can relate to really well!! Tommy Truth, Shari Sharing, Tobey Thankful and Livey Love (who looks like an alien...which I would not care for, truthfully.). Each of these books retail for $14.95 each and would be a great addition to any classroom, library or home book shelf! So, in my opinion...the StarPals books are great! I love the messages that they teach my children and the way in which they are written. The pictures are bright and bold, making them easy to understand and comprehend. My daughter loved reading and learning through these books...Patty Patience is our favorite! Visit StarPals, then come back here and leave a comment letting me know which of their books you would love to read. :) You do not have to be a blogger to enter, but you must have a valid email where you can be reached should you win. If you do not leave an email address, it must be where I can easily find it. This giveaway is open to US residents and will end 9/2 at 11:59 pm EST. The winner will be chosen using random.org and will be notified by email. The winner will have 48 hours to respond, or another winner will be selected. 1. "Like" StarPals on Facebook. 2 entries, so 2 comments. 2. Follow StarPals on Twitter. 2 entries, so 2 comments. Disclaimer: I received no monetary compensation for this post. I did receive 3 StarPals books for review purposes. All quotes and stock photos are from the StarPals website and email. All thoughts and opinions are 100% mine. 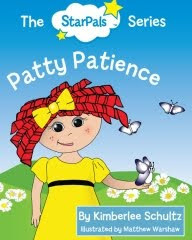 I would love to read Patty Patience to my daughter. 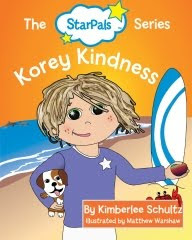 I visited StarPals and i would love to read the Patty Patience and Tommy Truth book! I liked The StarPals Series on FB! I followed @TheStarPals on twitter! I would also like Livey Love Book! Toby Thankful would be fun to read! ..last 2 posts meant to be twitter, not GFC name..sorry! !